In the frenetic world of online marketing, it can be challenging to stand out as a small business owner. You may be overwhelmed with all the options out there for promotion and find yourself confused on which avenues to invest in to bring in clients and sales. Luckily, as time goes on, more user-friendly and effective solutions are being brought to the market and with a little research and learning, you can grow your business with less effort and more style! 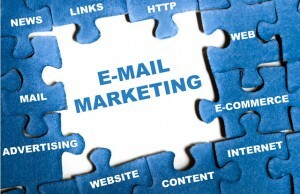 One of the greatest ways to reach your audience is through email-based marketing. Let’s face it, most people are constantly connected to their email accounts throughout the day, tapping messages on their smart phones or toggling between browser tabs at work. It’s easy to bring your business to someone’s mind when all they have to do is open an email that is right in front of them. And hands down one of the best options out there today is MailChimp, featuring an easy to read interface, simplified design process, and sophisticated tracking options. If you are looking for a clean and simple way to send newsletters, coupons, and other offers, look no further than this amazing program. Here are just five perks you’ll enjoy when you use MailChimp for your small business. There are a handful of different services to keep in contact with your customers, but most of them require subscriptions and can really eat into your profits, especially when you are first starting out. But MailChimp is absolutely free to set up and free to use if you have fewer than 2,000 subscribers! And for many entrepreneurs, it takes quite a while to build up that kind of subscriber base- so why not save money during those first slow months and put that cash towards inventory or other marketing? We are all aware of the impact of great design- we ourselves tend to only click on and peruse websites/newsletters/posts that are clean, colorful, simple, and easy to read. Other mail-integration marketing companies can make it hard to put together something that comes off as such, and you may end up with cluttered and archaic-looking emails that simply get deleted. Don’t waste that opportunity when your business is sitting in someone’s inbox by putting forth a substandard product. MailChimp is incredibly clean and simple, while allowing you to control things like color schemes and fonts, and brings appealing design to the forefront. For a small business owner, every moment of every day is worth money and it’s hard to do it all and still maintain some semblance of work/life balance. So the less time you can spend cobbling together a newsletter or coupon, the better. Luckily with MailChimp, there are several pre-made design templates to choose from and you can simply click, insert a bit of text, add a picture or two, and you’re off and running! It’s also easy to create a custom, regularly-used template (think monthly newsletter) and save it for later- then when you’re ready to send a new campaign all you need to do is swap out your current info and media. Then you can use that time you saved to brainstorm new ideas, squeeze in a workout, or spend time with the kids. Getting detailed feedback is crucial to learning what works and what doesn’t, anticipating your clients’ interests, and promoting your services. MailChimp’s integrated tracking reports allow you to watch everything from open rates and click rates, to when and where your clients are opening their email campaigns. You also have the option to send split campaigns (two chunks sent at different times or using different subject lines), so you can further hone your targeting prowess. It also tells you how your emails are performing compared to others in your industry to help you get a leg up on the competition. Marketing and promotion is a multi-pronged affair. You need to harness the power of social media, event hosting, and survey software in order to maximize your impact and drive business. MailChimp makes that a cinch by easily integrating with other servers like EventBrite, SurveyGizmo, and Google analytics and even can hook up with Zapier to bring hundreds more services to weave with your email campaigns. The more angles you cover with your marketing, the higher your chances for success! If you are ready to take the step to boost your online presence, don’t hesitate to enroll in our upcoming MailChimp class to master this valuable tool. Or check out all of our digital marketing classes for the ultimate business advantage! Fill out the form below to request more information about 5 Reasons To Use MailChimp For Your Business or to request information on customized individual or group training sessions.